While brick-and-mortar retail brands continue to compete for foot traffic, and e-commerce entities are overtaking them for shopping, a key component to garnering new and repeat buyers is more important than ever: understanding consumers and customers. This means consumer behaviors, wants, needs, problems, luxury desires, buying habits and personalities. As the buying experience now heavily involves online connectivity, it’s important for these businesses to have a digital footprint and then use the technology available to better understand the people who they want to do business with. The in-store experience can be customized to meet the consumer expectations. Here’s how understanding your customers will help you improve the in-store experience. Everyone who runs a store, from mom-and-pop shop to giant retailer, knows that in-store sales are declining as busy people turn to the ease and convenience of online buying. Online isn’t just winning out, it’s becoming better. Technology has allowed some online brands like Amazon to do laps. This creates an interesting paradox for retail brands. They can make a heavy push to keep up by creating their own online efforts, which is a good call. But how can they rebuild the customer loyalty that makes people choose to go shop in person? It’s going to take an in-depth assessment of your brand, your store, your offerings, your products and who your customers are in order to satisfy buyers and drive more people into your doors. How do people feel about those products? 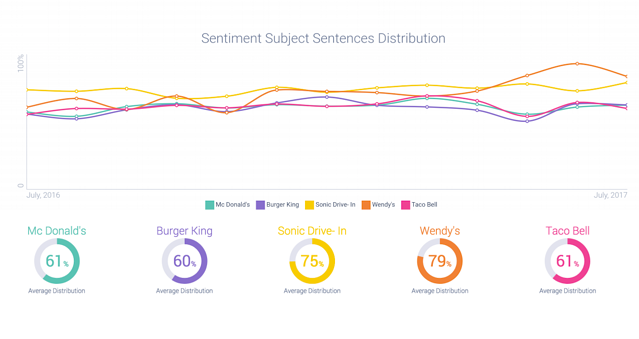 What is the overall affinity for your brand or store? What are the needs and interests of your customers? Who are your ideal customers? What are your buyer personas? Who are your competitors and how are they performing? How do people feel about your competitors? What is your in-store signage and messaging? How is it received? How are your marketing and advertising efforts performing? What measurements and analytics are you documenting and are you using them to guide your in-store experience and strategy? The digital landscape has made life difficult for retail brands who lean heavily on in-person shopping, no doubt. But what if we told you that you can take this online buying obstacle and turn it into an opportunity? Turns out, you can. You can improve your in-store experience and create amazing connections with your customers by better understanding them and what makes them tick. It’s time you use digital technology and online social circles to make your retail store everything your customers are looking for. People talk. They talk a lot online-- in social networks, on review sites and forums and other places for commentary. These unsolicited, unfiltered conversations that exist all over the web can be an absolute gold mine for businesses looking to better understand consumers, and that’s where your opportunity lies. This is still a largely untapped resource of need-to-know information. First of all, the online communication between consumers has a huge impact on retail business. A recent study by Deloitte shows that 81% of people make purchases based on recommendations of others, and 61% say they buy due to recommendations of those on their social media channels. Secondly, marketing technology and intelligence can now harness all the consumer-driven first-party data all over the web and help you use it to inform your business decisions. You now have 24/7 access to consumer insights never previously available. So, be thankful for the internet and use it to your advantage. According to AdWeek, 81% of people conduct research online before buying. For bigger retail brands, it will be vital for you to develop and maintain a sweeping and prevalent online presence through your own creation of content and also via what other people have to say about you. For local shops, you’ll need to develop a strong, geographically-based online presence that targets the right people within your community and enables your store to be found by people in the area. Then, when people turn to the internet to research products, they will be able to find you. But this also works reciprocally. By working it backwards, you can find your customers. For instance, I’m in the market for a new set of bar stools (orange ones because I’m going for something wild). I could go blindly walk into a store, but that’s like a pilot taking off without checking the weather. The smarter thing for me to do is to browse around the web and find ones I like within in a favorable price range and that I can easily get to in person. In addition to aesthetics and cost, I’m also highly interested in what people have to say about the products and also whether or not they make sense for my apartment layout. So, I’m reading review sites and furniture blogs as well. Interestingly enough, I’m a huge fan of the brands West Elm and Ikea, as well as a local handcrafted furniture shop. I follow their social channels already and occasionally read about their products. When one of these stores turns out to have a set of rustic, orange metal chairs with really good reviews, the decision was almost made for me. If you are a furniture store brand selling bar stools, you need intel about people just like me. Who am I? What are my needs and interests? 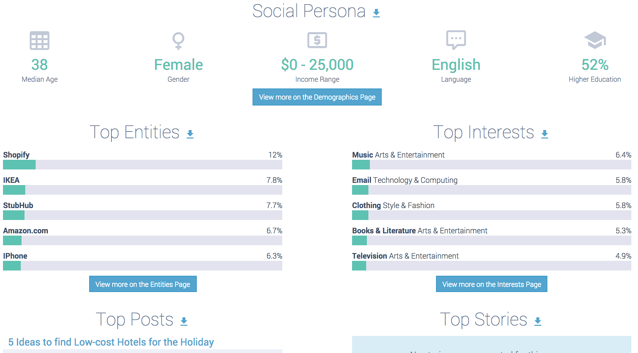 What are my demographic details, income and spending habits? What do I feel about specific brands? What makes me most likely to buy from you? 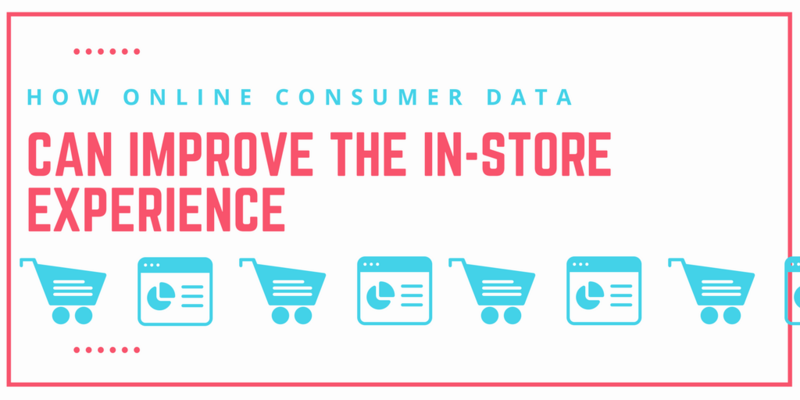 Finding this information will help you curtail your in-store experience, the way you market your business and the types of products and offerings to the people who you are targeting. Do unto others. If your potential customers are researching you and your competitors, you should research them and the brands competing with you for their business. To master the art of consumer research, you can utilize the many tools and resources available to marketers, advertisers and market researchers. All of these can be part of a holistic marketing research strategy that should all be used hand-in-hand. Social listening, for example, is the one of the most precise, far reaching, and fastest ways to get 360-view of your customers, audiences, prospects, influencers and competitors. You can take the data collected from social intelligence and use it in many different and valuable ways. If you have a marketing automation platform like HubSpot or Marketo, you can see who has found you, your site or your distributed content and find out who they are and where they came from. Sending surveys out to your current customers, if you have them in an email or subscription list, can help you glean need-to-know information about people who’ve already bought from you. Online usage data and website tracking tools like Google Analytics and Quantcast can tell you even more about who your website visitors are (remember: knowing who’s interested in you online can help you shape your in-store experience). In addition to these resources, we’ve also put together a “social listening toolkit” which provides you the list of various tools and platforms that you can use in a social listening and audience research strategy. Read that here. You should dedicate your team to making sure you have a more complete understanding of the customers, fans, audiences and competitor’s audiences, then apply that information to your stores. Actually listening to what people have to say is the best way to do this. Here’s your opportunity to better make key business decisions, update the products offered or improve the in-store experience. The idea here is to nurture a loyal base of fans who want or need to get off the couch and go check out a store like yours in person. If your goal is for millennial women who are interested in arts and crafts to shop at your store, you need to understand what about these people is most important to them. What are people in this segment saying about brands like you or your competitors? What are they saying about the shopping experience at arts and craft stores? Are they upset by customer service? Bewildered by products offered or not offered? Concerned about a PR crises? Exstatic about a new offering or event? Intrigued by a campaign, special promotion, or online advertisement? You need answers to all of these questions and to better understand the people you are targeting, or perhaps as important, find out who you should be targeting in the first place. Maybe through your consumer research you discover you should actually be focusing more on millennial men who are interested in office supplies. Taco Bell can see their customers have some commonalities with Lyft fans. They can use this information to tout their new partnership with Lyft inside their store with the right messaging. Getting this kind of intel will help your business curtail and customize the in-store and customer experience, the offers and promotions, events, and products in new and innovative ways and can have a profound impact on your business bottom line. To meet all of your customer’s buying needs, understand what those needs are. Then make the magic happen inside your store.